Home / Car Service / pre purchase inspections / What Is the Need for A Pre-Purchase Inspection of Your Vehicle? What Is the Need for A Pre-Purchase Inspection of Your Vehicle? When you have found your dream car, you will obviously be tempted to go in for a faster buying process so that you can drive your dream car as soon as possible. However, before fully committing yourself, you will have to perform one more important step. This will be to take the car for a pre purchase inspections also known as PPI in short. It is the licensed and qualified mechanic who will carry out the pre-purchase inspections. 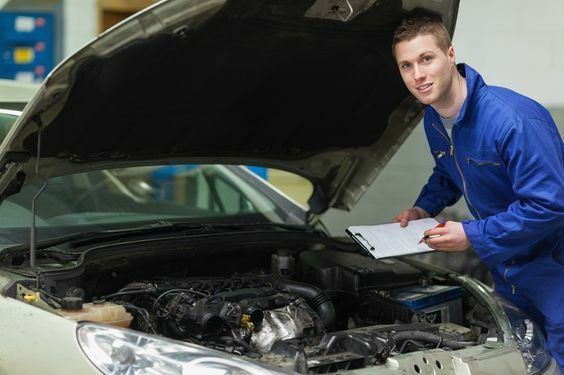 They are also those people who will be able to provide a thorough inspection to your car so as to determine the mechanical, cosmetic as well as the safety condition of the car. They will tell you about any existing and current conditions. They will also highlight the potential issues that can come in the future. When you learn more as to what’s happening underneath the hood and you’ll be more confident when you realize that you’re making a great investment. The pre-purchase inspections usually take anywhere from forty-five minutes to 2 hours, depending on the car. It will be the task of the technician to examine exterior of the car, the interior as well as under the hood. They will also investigate the undercarriage. There are lots of quality services centers also conduct a test drive to see what’s happening with the car when it’s in motion. When should I get a pre-purchase inspection of my vehicle done? You should be getting the pre-purchase inspections carried out when purchasing a vehicle without a warranty, or when the vehicle is located in another city. If there is no warranty then as a buyer you will be assuming that the entire risks if there is a breakdown or if there is a major mechanical issue. This is the going in for a qualified PPI makes financial sense. When as a purchaser you cannot take a test drive the vehicles in other cities provide the buyer with additional challenges. By simply making some phone calls, it will be possible for you to arrange a PPI with a local shop where it will be possible for the seller to drop the vehicle off for a few hours. The resulting PPI report will provide you with added security during a long-distance transaction. If you’re buying your used car from a dealer, then there are a lot of dealers that will be able to conduct the PPI onsite. As a consumer, it is your right to have a PPI and usually, a refundable deposit and a non-binding offer to purchase are considered acceptable pre-conditions to an inspection. You’ll want to bring the vehicle to a mechanic. While getting the inspection done offsite and with a mechanic whom you already have cordial relations with you if you don’t have a go to service center, and then you can ask the dealership for recommendations. Lastly, when the inspection has been completed, you can hopefully drive back to the dealership in your new car with all the confidence there's nothing wrong with it.